I awoke to the bright Japanese sunrise peering though the window. Today, June 5, was the day we all set off to Lake Yamanaka. I had gotten ready in record time, so I turned on the TV in my room at Sakura Hotel. Since my research project is about how American comic books influence Japanese culture, I was curious to see which morning anime was being aired. Surprisingly, anime wasn’t as prominent on TV as most Americans would think. Most channels aired the news, talk shows and one channel featured a show on DNA. Only one channel had cartoons but it was geared toward very small children. USC & Meiji students waiting to go to Lake Yamanaka. 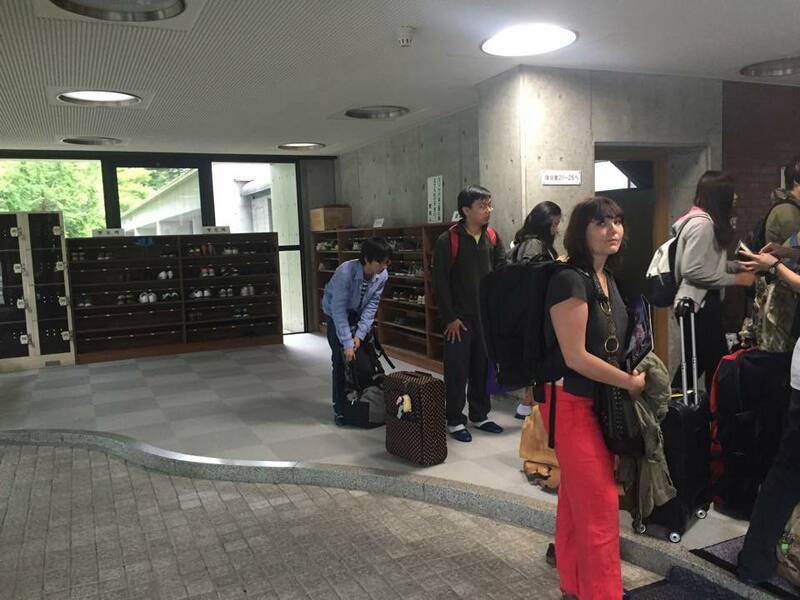 At 10:00 am, equipped with our bags, we walked to Meiji University to meet up with the Meiji Students. The bus ride to Lake Yamanaka was about 2 hours. My bus buddy; Haruka, and I spent the time talking about music (she enjoys the band Owl City) and playing card games with the other Meiji Students. They knew many of the card games I had grown up playing. 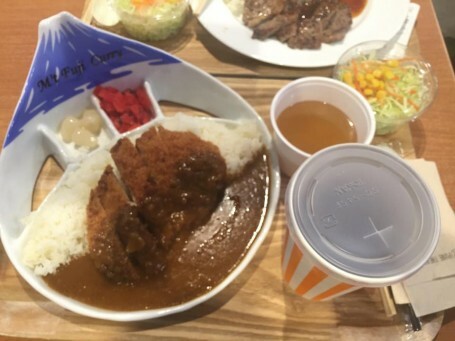 For lunch we stopped at a food court and I had the chicken curry, which was very good! 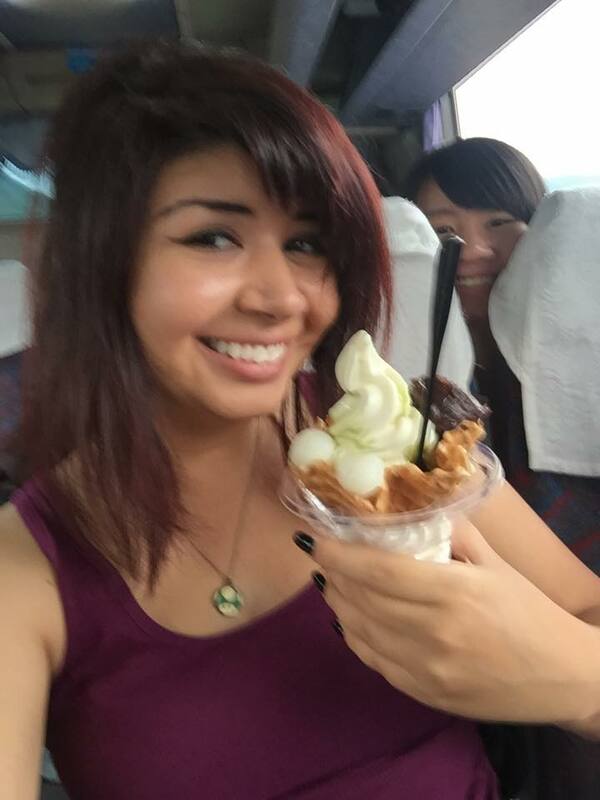 There was a popular ice cream shop near the bus so many of us grabbed a cone before resuming our trip. After lunch mochi ice cream on the bus. 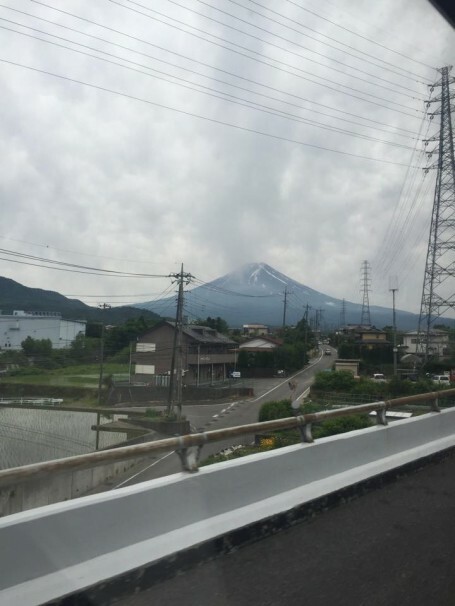 View of Mt. Fuji from the bus. Dinner started at 6:00 pm sharp but before we all went to eat, I checked out the traditional baths. It was really relaxing. After dinner, there was a little downtime before the 9:00 pm party. Almost everyone took this time to work on their presentations, based off of their research topics. In my presentation, I discussed the popularity of American comic books in Japan and how the Japanese felt about them. 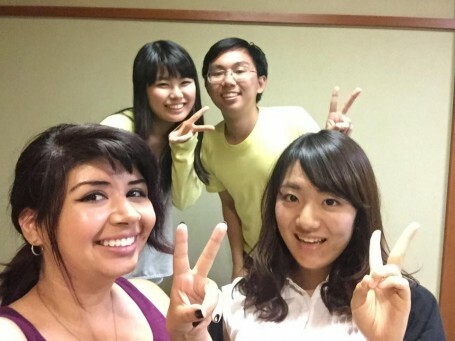 Yuri and Misato allowed me to interview them. I was surprised by their thoughts on American comic books. Misato said she read Spiderman but never watched any of the movies. Yuri told me she disliked American comic books because they were not かわいい (Kawaii = cute). This concept of かわいい is very important to Japanese culture and its influence is very prominent in Japan. 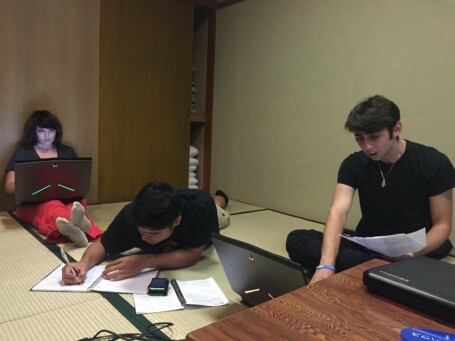 A few studious USC students working very hard on their upcoming presentations. 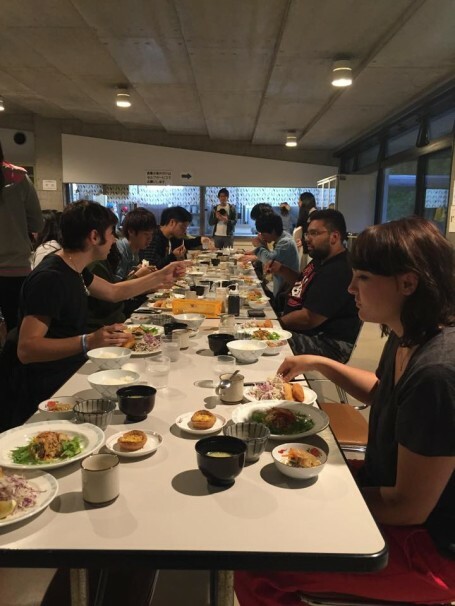 Dinner with USC and Meiji students. 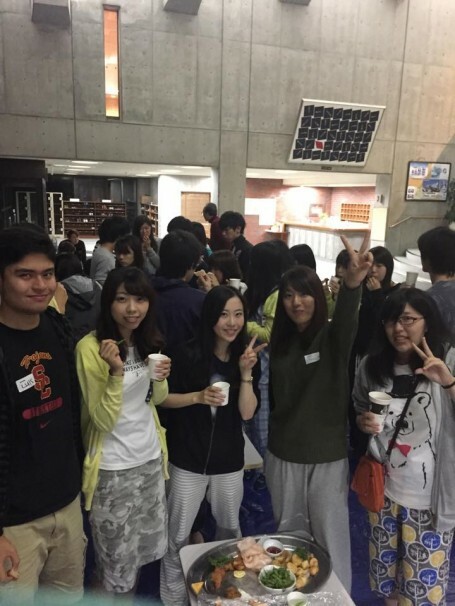 After finishing the presentation, we did a quick ice breaker to recall everyone’s name then….we had a party with the Meiji students!!!!! It was so fun! We all were dancing, eating and talking. 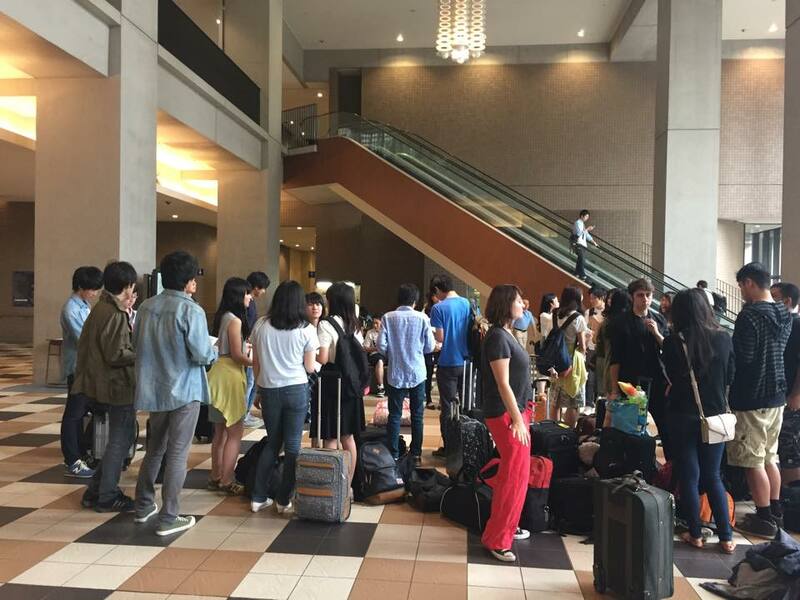 It was great to get to know the Meiji students during this time. I can’t wait for tomorrow so we can all share our presentations and learn what everyone else has been working on during our stay in Japan. The after dinner dance party! This entry was posted in Tokyo, Travel, Yamanaka Lake by geajapan. Bookmark the permalink.